Headington Ward Focus Meeting tonight! Our March meeting will be held at Headington Senior School Main Hall from 6:00-7:30 pm. 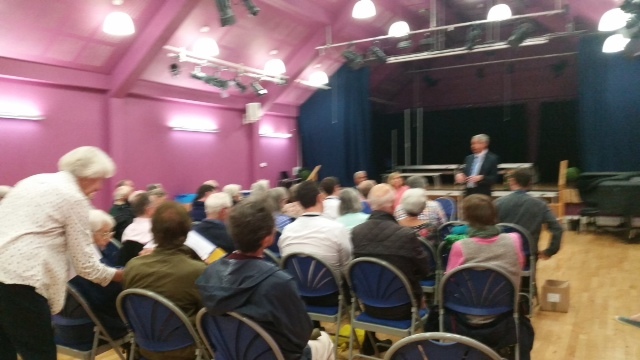 Sadly our guest speaker Neighbourhood Sergeant Why has given apologies as he has been called away on police operations but we shall display the latest Access to Headington plans for the Slade and have speakers on the Neighbourhood Plan referendum and the Headington Swap Shop. Please come along and raise your issues with Ruth and Roz on any issue affecting Headington Ward..
Our next ward focus meeting will take place at Headington Senior School Main Hall from 6:00-7:30 on Tuesday 28th March. We shall display plans for the next phase of Access to Headington roadworks on the Slade. Bruno Holthof is now unable to make our next Ward Focus Meeting on 31 January but is keen to attend on a future date. We are currently rearranging the date of his visit. An Open Session for your comments too! Free of charge. All welcome! Hold your councillors to account! and the Homeshare Oxford Project. An Open Session for your comments too. Free of charge. All welcome! Hold your councillors to account! Thanks to residents for telling Customer Services Manager Mark Peet your views at our Ward Focus Meeting. He has investigated your issues and reports back below on actions taken. As promised I have a further update on improvements to the Residents and Visitors Parking Permit service. In July I advised that I would be looking at further ways to improve our online service and document validation service for residents, in particular around the Headington area, who are unable to upload documents as part of the application process. I am pleased to inform you I have made changes to reflect the need to improve both of these areas. Online Payments – As part of the online application process for Resident and Visitor Permits, residents in Controlled Parking Zones can now complete the full application online including paying for their permits. There is now a secure, safe and PCI compliant way to pay for residents when applying. This service was made available from Monday 8thAugust and we have had over 100 applicants in less than a week choosing to apply and pay using this service. Document Validation – On the 8thand 9th of September our team in Headington Library will be training in Document Validation which will enable them to validate parking documentation. This service will then be available in Headington Library from week commencing 12th September. This means customers will be able to validate the documents we need as part of the application processes without needing to send them into us. We will simply check the documents and hand them back to the resident once we have confirmed they are correct. It’s good to see positive changes being made by the County Council and an officer keen to come out to public meetings to listen to and act upon our residents’ concerns. or Ruth on 07789 368300 @RuthWilk ruth.wilkinson@oxfordlibdems.org.uk. Thanks to Headington School for hosting this event and to our guest speakers Rob Fowler and Richard Wyatt from Oxford City Council for their updates on the hospitals’ energy pipe project and the consultation on Oxford’s Local Plan. Sandfield Road residents are concerned that the temporary parking space for residents affected by the works should not be accessible by hospital staff and visitors. They also have security concerns about their vehicles while they are parked in the temporary parking area. More details about this will be available in the documents which will be put online shortly. We have conveyed these concerns to the Trust. The Community Liaison officer Jo Lennon is happy to answer comments via email at hospitalenergyproject@ouh.nhs.uk and will come to a Sandfield Road residents’ meeting or the next Ward Focus Meeting if requested. The Local Plan is also being promoted on the City Council’s website and in the local press. Residents asked for all householders in Oxford City to be sent a booklet so that all were consulted. Ruth and Altaf offered to arrange distribution of booklets to every householder in Headington Ward along with our monthly leaflet. The Local Plan will take a long time to be produced, agreed and adopted – 2019 is a target date. The issues raised in the Headington Neighbourhood Plan will inform planning policy work on the new Oxford Local Plan. Can we get our parking forms processed at Bury Knowle Library like they do in Summertown? A speaker from the County Council has agreed to attend our next Ward Focus Meeting. We have advised the County Council who to approach at the City Council should they wish to arrange permit collection from St Aldates. A No Cycling sign is needed in Coffin Walk. There are concerns about unclear signage of shared footway between the Green Road roundabout and the shops, and signage for cyclists at the corner of Sandfield Road and London Road. Roz will investigate this. Residents would like to see a higher visibility presence from police in London Road to tackle speeding vehicles and cyclists on pavements. Residents are concerned about van-loads of dubious strangers being off-loaded in Headington to sell low quality items door to door. When will the real time bus indicators start working? Ruth to pursue if not up and running by end of June as promised. Why aren’t the North Place entrance gates working? Why isn’t the library lift working? Roz is pressurising the County Council on this. Councillors are concerned that the lift to the Library is not fit for purpose. Thanks to all who came to the meeting, it was very well-attended. We value your comments and will take action on your issues. See our next Focus leaflet for an update. The July Ward Focus meeting will be held on Tuesday 26 July from 6:00-7:30pm at All Saints Church House, New High Street.